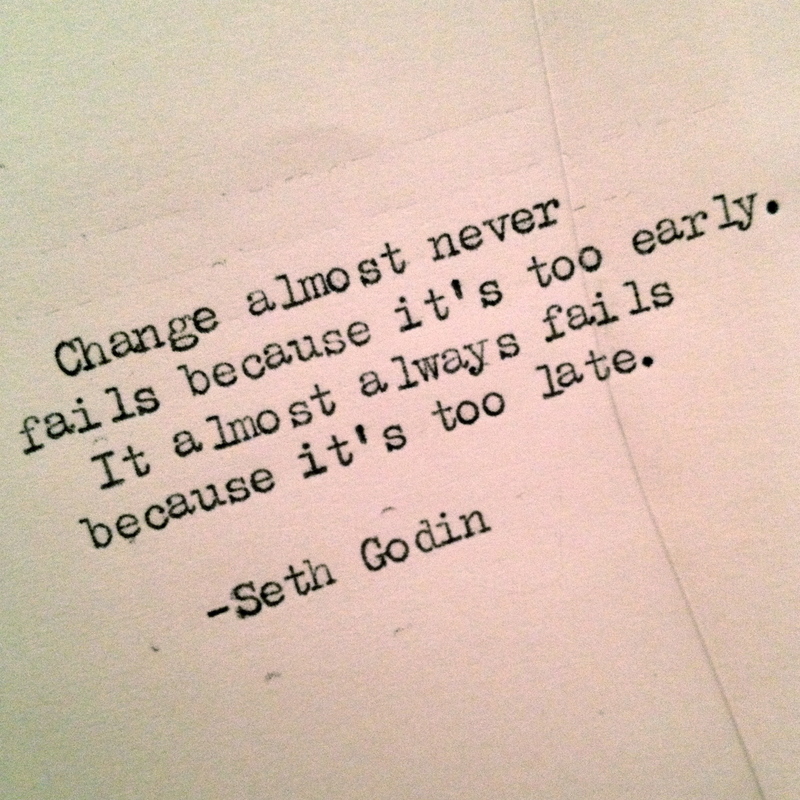 Are you holding out on change because you’re scared you’ll fail? One of Seth Godin’s books, The Icarus Deception, was one of the major drivers in my last job change – I was willing to take a big chance to improve my situation, and it turned out better than I could have anticipated. Waiting would have significantly changed the outcome, possibly for the worse. The beauty of this is that it applies to both businesses and personal lives: practicing rapid innovation can move you forward in ways you never expected. But keep it in check 🙂 Too much change in such little time can make adapting more tedious than it should be. I challenge you to implement one change today that takes you out of your comfort zone. This entry was posted in Uncategorized and tagged change, job satisfaction, quote, seth godin, Wisdom Wednesday. Bookmark the permalink.